Tickets are on sale now for Moulin Rouge! 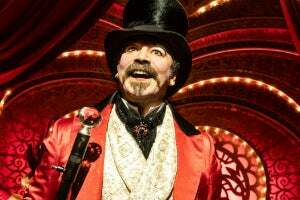 The Musical, which begins previews at Broadway's Al Hirschfield Theatre on 28 June 2019, before officially opening on 25 July 2019. The musical is based on the beloved 2001 Twentieth Century Fox Motion Picture by Baz Luhrmann. The production promises to "bring some of the most beloved popular music of the last 50 years to the stage" in what may be the most anticipated stage adaptation of the 21st century. Moulin Rouge! grossed over $179 million worldwide and earned Catherine Martin two Oscars (for "Best Costume Design" and "Best Production Design") at the 74th Academy Awards, where it received a further six nominations, including "Best Picture". The jukebox musical starred Nicole Kidman, Ewan McGreggor and Jim Broadbent, along with John Leguizamo and Richard Roxburgh, and featured versions of popular songs such as "Lady Marmalade", "Material Girl", "Diamonds Are a Girl's Best Friend", "One Day I'll Fly Away", "Roxanne", and "Your Song", as well as original song "Come What May". The pre-Broadway world premiere engagement of Moulin Rouge! The Musical played Boston's Emerson Colonial Theatre from June 27 through to August 19, 2018. 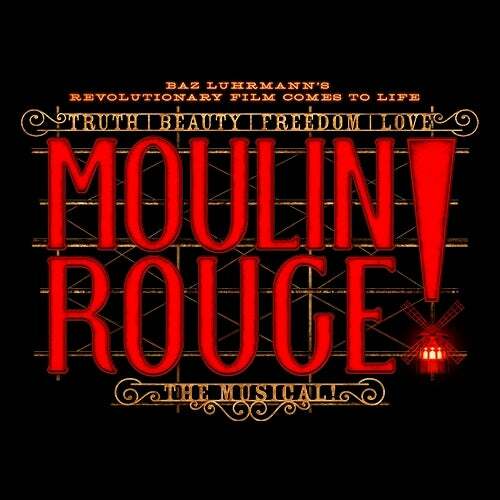 Set in the Montmartre Quarter of Paris, France at the turn of the century, a world of indulgent beauty and unparalleled extravagance, of bohemians and aristocrats, of boulevardiers and mademoiselles, Moulin Rouge! The Musical tells the fictional story of an ambitious, lovesick writer, Christian, and a dazzling, entrancing chanteuse, Satine. Their lives collide at the Moulin Rouge with its many characters including the host of the Moulin Rouge, Harold Zidler; the brilliant and starving artist Toulouse-Lautrec; the greatest tango dancer - and gigolo - in all of Paris, Santiago; the tempting Nini; and The Duke of Monroth, the wealthy and entitled patron of the club who thinks he can buy anything he wants, including love. Moulin Rouge! The Musical will receive its Broadway premiere next year, with previews beginning at the Al Hirschfield Theatre on June 28, 2019, ahead of an official opening on July 25. The stage musical celebrates the 2001 film, directed by Baz Luhrmann and starring Nicole Kidman, which went on to win two Academy Awards. Based on the film, the production features well-known songs from the movie, including “Come What May” and “Your Song”.